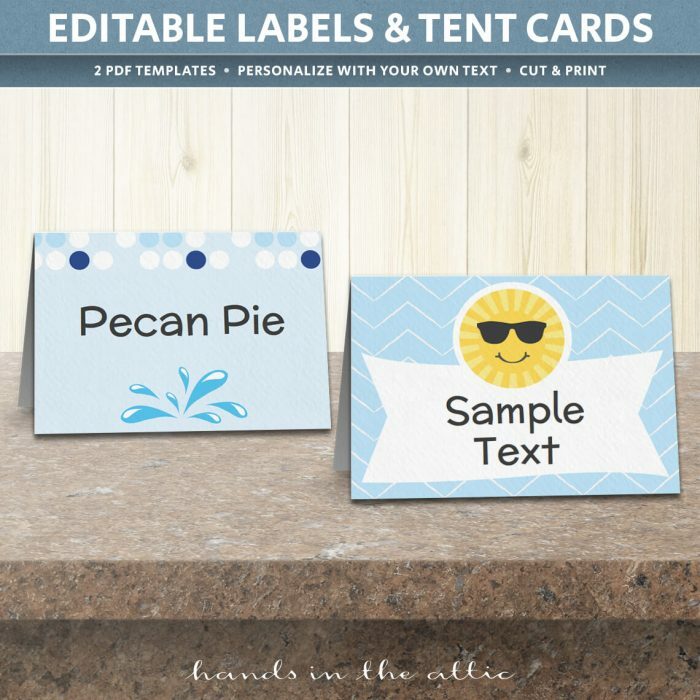 Choose from our range of diy place cards for your food table or game stations. 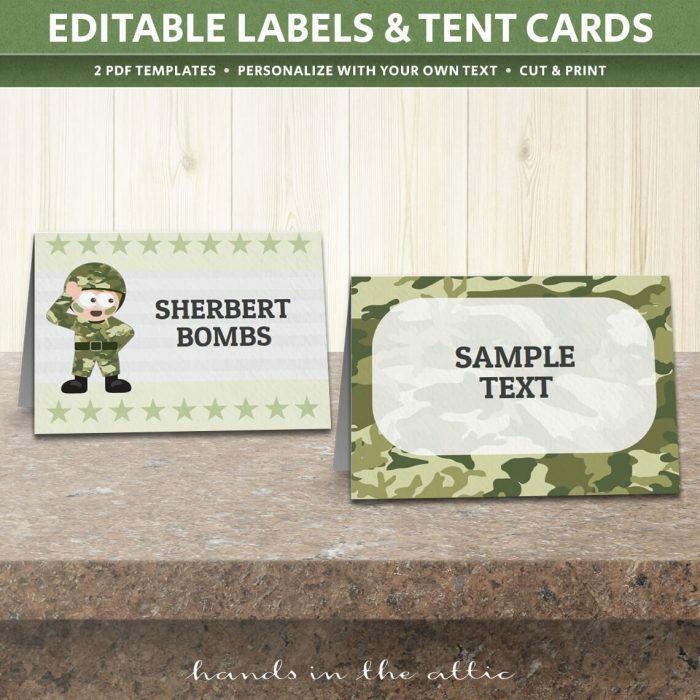 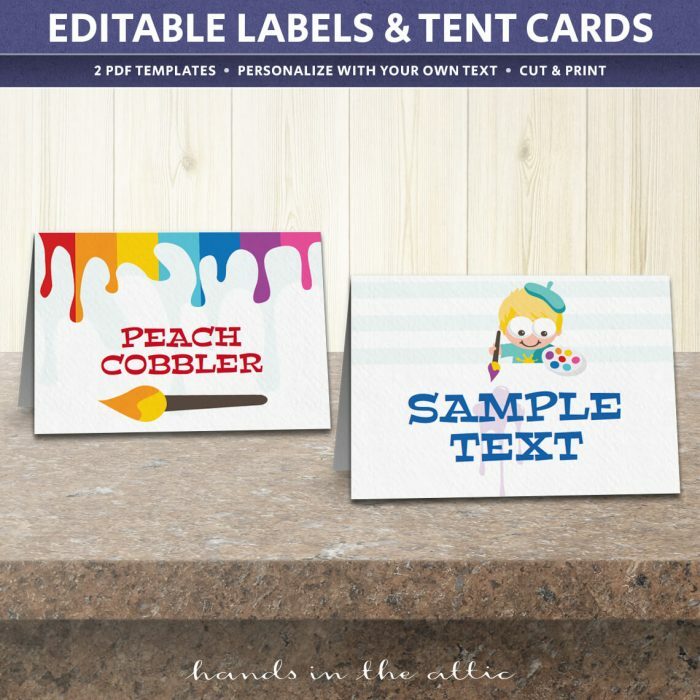 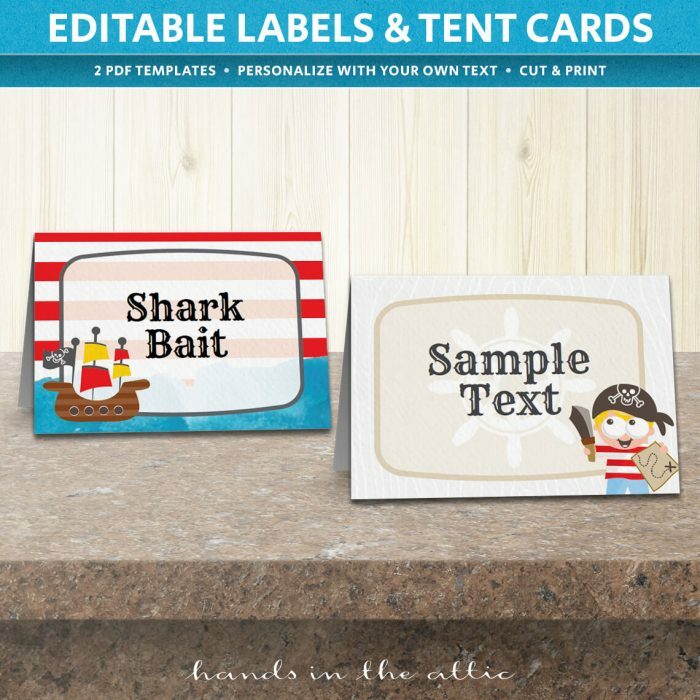 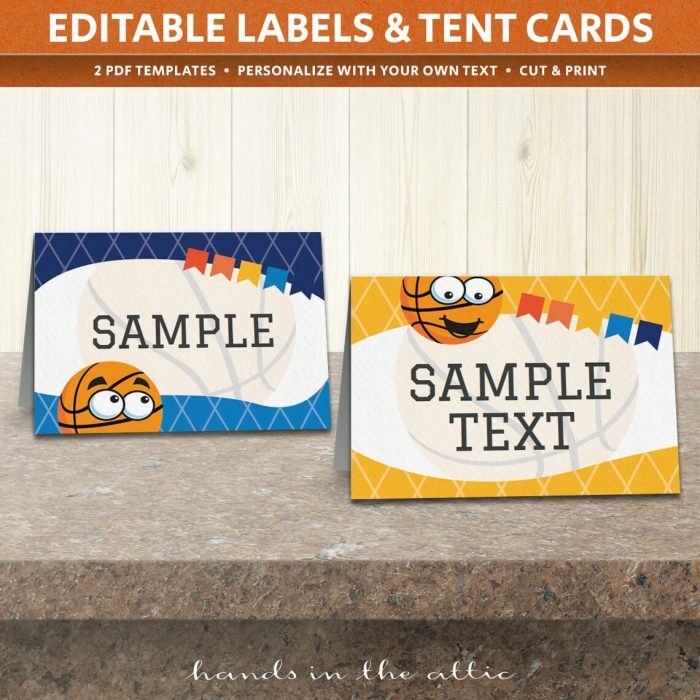 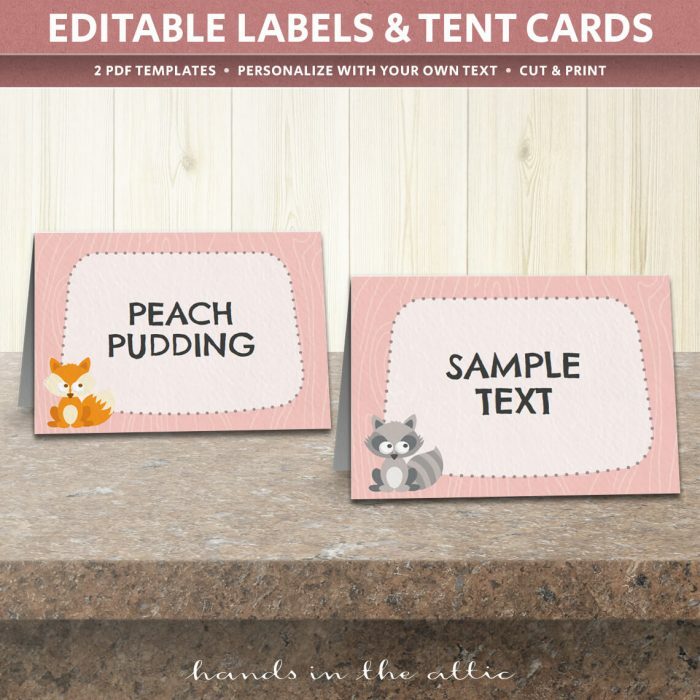 You can use any of these tent cards templates to decorate dessert or candy buffet tables too. 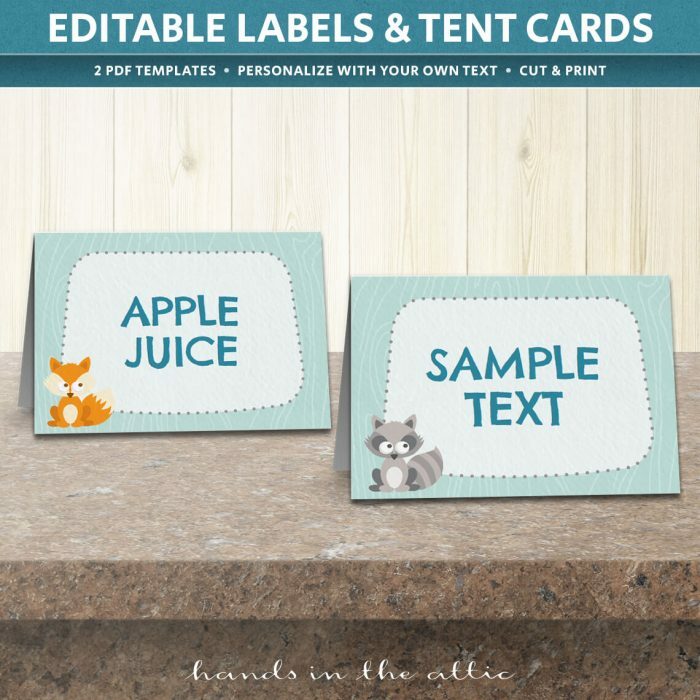 Personalize these labels by editing in Adobe Reader. 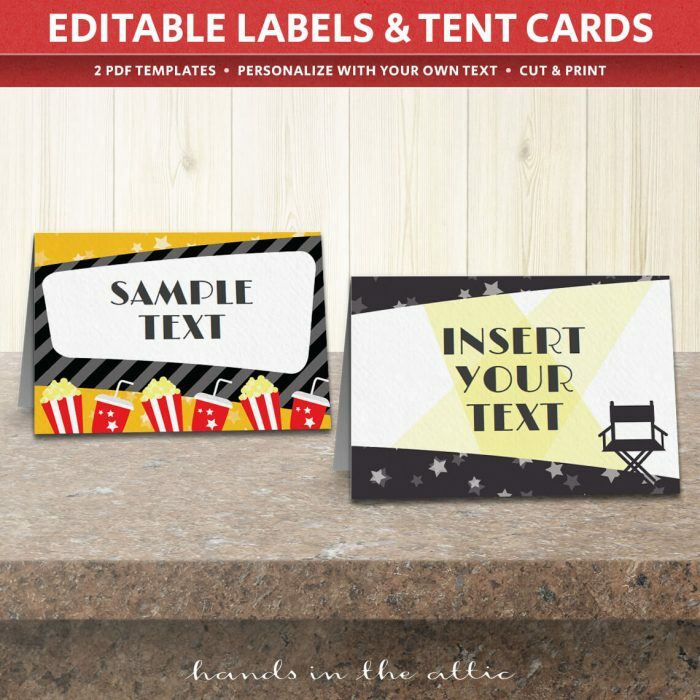 Type over the sample text with your own, print, and repeat for more. 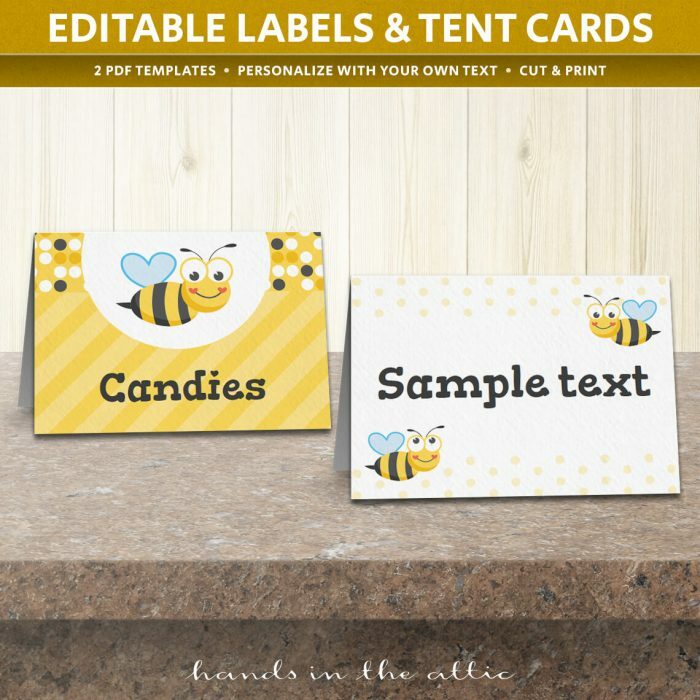 All labels are formatted to print on letter-size (8.5 x 11 inch) card stock.